A small, isolated vineyard with just over an acre (.5Ha) of surface area. Rescued from replantation this century-old vineyard contains a large array of varieties, some still not identified. The vineyard lies on the back of a hill facing the boundary between the two viticultural zones of Elvillar and Laguardia. Its steep grade and uneven surfaces, inaccessible to tractors, pose no problem when farmed by horses. 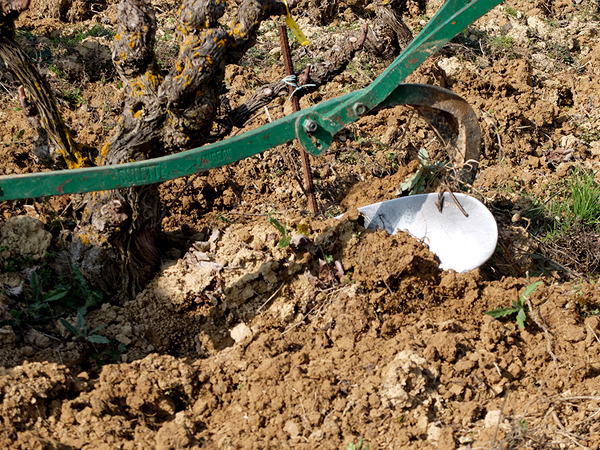 Pure limestone soils and an east-facing orientation keeps the vineyard fresh and cool. 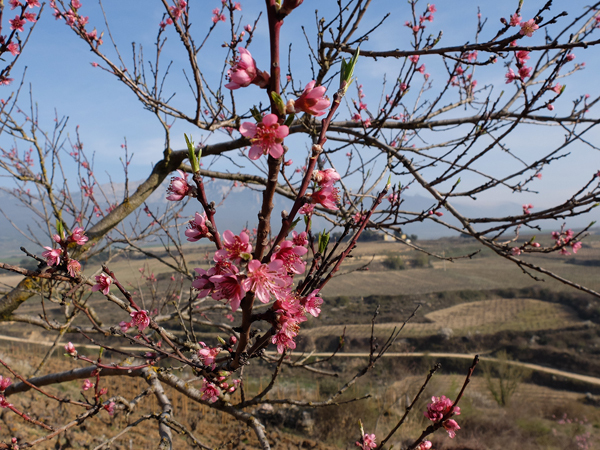 To respect the land, the fauna in and around the vineyard was untouched, therefore, it continues to share space with some small almond trees, peach trees, arteries of ancient retaining walls can still be found, and the ruins of a Guardaviña. A secluded location perfect for a Biodynamic farm with no crossover from conventional farming neighbors. The special energy of this vineyard and its gnarly vines growing from underneath rocks, trees allowed to continue their fight for space and intense quality of the little fruit that it bears, all lends itself to its reputation of a fairy garden. And in this case, we kept the original name of the parcel. The character of the grapes in this vineyard are that of a Bordeaux and therefore, we hope the wine pays homage to its French translation, Saint Julien. © 2018, 2019, 2020 Struggling Vines.